Brown Bear, Brown Bear, What Do You See? celebrates 50 years! This week only, stop by the ICPL Chil dren’s Department and bask in the rainbow glow of our homage to Brown Bear, Brown Bear, What Do You See?, a children’s classic celebrating its 50th anniversary this year. 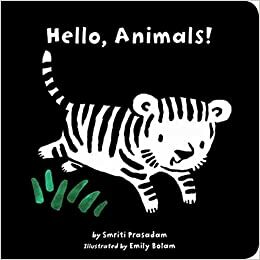 If you want to ch eck out the book, the library owns this beloved children’s favorite in English, Spanish, Chinese, Arabic, and Braille, as well as a board book and “big book” format. (Find it in the catalog.) Once you’ve found your copy, you can also go on a scavenger hunt around the Children’s Department for all 11 hidden Brown Bear characters (get a special Eric Carle prize!) and make a Brown Bear stick puppet. At toddler storytime on Tuesday, each child created one of these stick puppets. The room was filled with a rainbow of horses, fish, frogs, cats, and birds! We then told the Brown Bear story three ways simultaneously: with the book, with flannel board characters, and with puppets – children held up their animal when it appeared in the story. Happily, this week is also Children’s Book Week, an annual celebration of books for kids and teens. Children’s Book Week was launched in 1919 and is the longest-running national literacy initiative in the country. So we expanded our celebration at storytime to include another Eric Carle favorite, The Very Hungry Caterpillar, which I told with puppets and giant story cards. “I know this book!” one child excitedly whispered. For more Brown Bear, check out the website of the Eric Carle Museum of Picture Book Art for a video of Carle talking about Brown Bear, printable activity sheets, and a slideshow of fun facts about the book (a grey mouse and a pink elephant appear in the 1970 edition!). What are your baby’s favorite books? 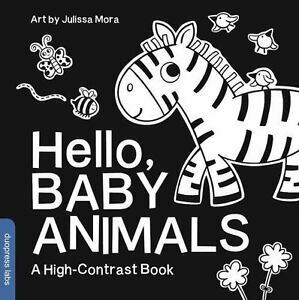 ICPL’s Karen and Morgan read a high-contrast book to my 6-week-old baby on his first trip to the library. Today my baby turns 10 months old. That’s 10 whole months of me learning firsthand about early literacy. He doesn’t sit still much these days. Rather than listening to a book beginning-to-end, he’d rather turn their pages, or pull as many books off the shelf as he can, which staff in the Children’s Room found out Saturday at close. Still, he has delighted at many of the books I’ve put in front of him, and I’d like to share the types of books that have captivated him even before he can understand their words and stories.